This is my first build ever. A lot of you will probably see this build and think hey this looks very similar to phillips S340 build. My build ended up being almost the same as his build by coincidence and i'm kinda glad it did as I had used the video as a reference while I was building. Also sorry if the picture quality isn't fantastic i'm not a photographer and i used an Iphone. General: I built this to push the boundaries of science. Some of you may know this as playing some games. I had been planning this build for months and I had originally planned to do a i7 all the bells and whistles build, but decided to save the money and put it to other things. I am a freshman in college and I plan to go into the medical field, so as many of you know this is just the beginning of a long financial struggle so I opted to go with a budget build with only what i needed over a flashy i7 build and I think I made the right choice. If you want to leave constructive criticism please do so. 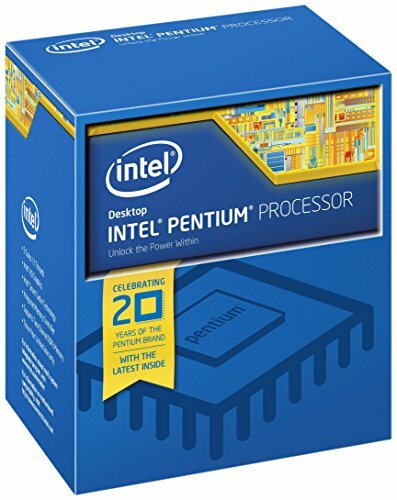 CPU: This Pentium G3258 is incredible for the price you get it at. Unlocked and overclockable this things performance is amazing. When it was released along side the i7 4790k I knew I had to try it and so far im not disappointed. 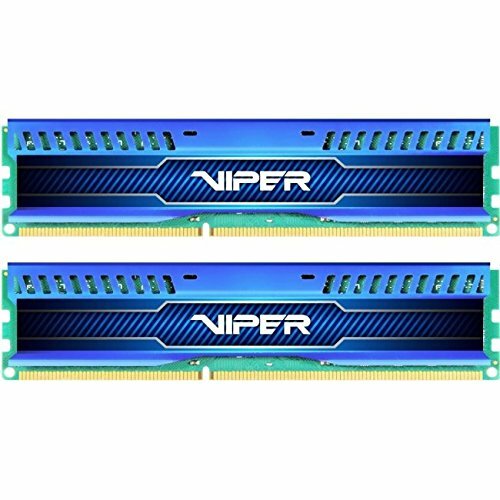 I had thought about getting an AMD fx 6300, but I had concerns of heat problems as the ambient temperatures i'm around are not pleasant in the summer and I wanted to build as cheap as possible. I have not overclocked yet because I want to see what this CPU can do with stock performance, but I will very soon. Motherboard: It came in a combo deal with the G3258 at microcenter both for $100 and there was no way I was turning down a z97 board. This motherboard isnt as packed with features as other z97 motherboards or even the greatest looking but it is definitely a quality motherboard and will do everything I need it to. Also with the z97 chipset i will be able to upgrade later in the future so that's nice. RAM: Well its ram. 8Gbs of ram is all you need for gaming so that's all I got. It was the cheapest I could get and although 1600 isn't the fastest it'll do and it works excellently. Storage: 1Tb hard drive not much to say you've seen this thing in like thousands of builds. GPU: I wanted something that could handle more intense gaming so I decided to go with the R9 270x over entry level cards like the gtx 750. It was my last part to arrive thats why it got its own picture in case your wondering. I know a lot of you will say I should have gotten an R9 270 and just overclock it, but i only paid $105 and C'mon that damn cheap. Case: The NZXT S340 this thing is amazing and was an absolute pleasure to work with. I had originally been planning to get a Fractal Design Node 304, but at the last second i changed my mind. I love the no frills simplistic look of the case and the steel construction is awesome. The cable management (although mine isn't the best) is incredible you could literally put your computer together blindfolded and the cables would look nice... okay maybe that's pushing it, but you get my point. PSU: Many of you will notice in one of the pictures i have the box of a 550w CSM, but that was DOA and in a desire to complete my build at that very moment i ran to the store and bought the power supply listed, so that was disappointing, but i quickly replaced it and now everything is good. It wasn't the smartest choice i ever made, but oh well. 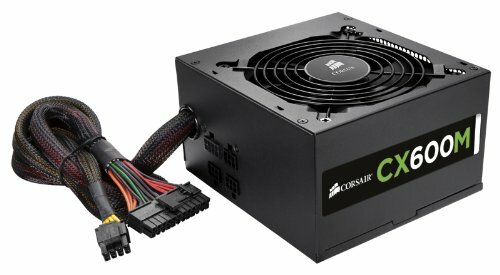 The CX series isn't the highest quality power supply, but for my build it will be fine. 600w is a little overkill for my build, but when I eventually do upgrade it'll be nice to have the room and with a 12v rail that supplies 46A upgrading should be no problem. All in all this was an incredible experience and i would love to do another build (I want to see what I can do with an APU) . I will be posting gaming benchmarks for those that interested within the next week, so look out for those! And if anyone of you want I can take more pictures of the case if your interested. Note: all benchmarks done at stock speed. Very nice build, especially for the price! Thank you! The case is fantastic cable management is a breeze and the steel construction is definitely high quality. I do think that many people will still prefer the H440 however as it has the noise dampening foam and has 280mm top mounted radiator support while the s340 does not. Personally I like the s340 more, the simplicity of it is really attractive to me! I agree the simplicity is one of the reasons I love this case! Ebay my friend. It is a little risky but Asus, gigabyte and msi have warranties that go by serial number so as long as you get the UPC along with the card you get the warranty. This is a really impressive budget build. I love case companies that understand that all we want is a steel box with a window. Thanks for checking out my build! and definitely I'm personally not a huge fan of flashy... well anything. Don't get me wrong there are just some people that can pull it off but I'm not one of them haha. I love the simplicity of the case and all the features it has. When I first saw this case come out I knew i had to buy it! DAS TOO MACH WHITE PUT SOME COLORS ON THAT, lol jk nice build, you choose right. Great budget build! Unbelievable deal for a z97 board too. Only things I would suggest r maybe a evo 212 to keep the temps good for the OC and an SSD for boot times/program load times it really does make a big difference on the boot. You could probably do both for a little under $100 if u wanted to. Thanks for the feedback! I had originally planned on getting an ssd but I figured id save the money and put it towards a better CPU, but an ssd is definitely on my list especially since the ssd caddies in the case are feeling empty. And I'm planning on getting an aftermarket cooler soon. 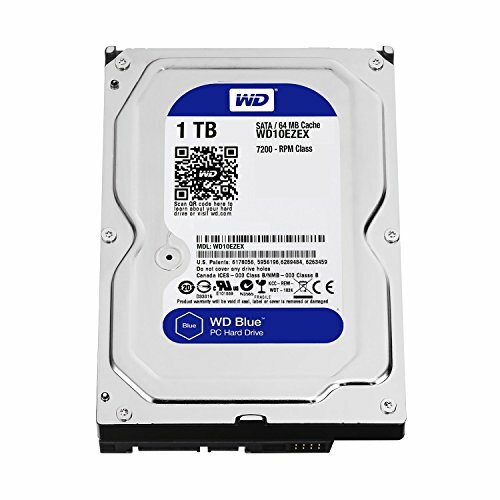 I'm currently looking to get an SSD right now actually I really wish I had bought one black Friday though since the prices were so good. I'm trying to see if I can get one or sale or something but I will be grabbing one very soon. I was thinking about the crucial mx100 256 since it's at a really good price point. Thank you! It definitely wasn't the easiest. I spent a good amount of time trying to to find deals but was well worth it. What do you think of the graphics card? I was reading reviews on the same one, only with 4 gigs instead of 2, and they all said that it died within 6 months for no reason. What do you think of the quality of it? hmm I haven't heard of the card dying, but if it does that'd be disappointing. I bought mine used and it seems to be working fine. Quality wise i can't really say as this is my first build so i'm kinda limited, but I have heard Msi is a reliable company. Sorry I cant really answer that. I've heard mixed things about that case. People say that you can scratch the side window very easily. Is that true? I haven't tried but the window is plastic and I'd imagine it is easy to scratch just from feeling it, but unless your going at it with your nails or other sharp objects you'll be fine. to be honest unless your completely reckless with it you probably won't scratch it. I can't really complain about the quality control because at $70 it's a really good deal. Cool! Well I'll consider it for my next build for sure then! I love yours btw! Thanks! Oh and incase you don't know this case doesn't support top mounted radiator support and only supports front 280mm rad. Push pull is also kinda limited with front mounted rads because the reservoir bracket/cable management bar gets in the way, but you can remove it. Also the bottom has a kinda flimsy dust filter. Just a heads up those were my main complaints, but hey NZXT had to cut corners some where with a $70 price tag. Sweet man! Thanks for the tip! Awesome build man! I have shared this with a few people now. really well done and those fps are incredible can't wait to see some OCing. I checked on a few websites and saw some good and some poor OCing results. let us know how it goes. I've been toying with the idea of taking the plunge and going for an Intel-driven build. Seeing your build here I have to say I'm only more interested in doing that. +1 for sure! Thanks a lot! By unlocked I mean the the processor can be overclocked to increase the speed and performance of the CPU when needed. How much depends on the chip and if your Lucky hence why people call it the silicon lottery. Every pentium g3258 or k series intel cpus can be overclocked but by how much varies. I was able to get my chip up to 4.5 ghz from the stock 3.2 but I've seen other people get close to 5ghz on the same amount of voltage. That's gotta generate a lotta heat. I can understand why people do that but I don't think I'd ever roll the dice on stakes that high myself. But then my computer needs are probably significantly more mild than theirs. While on the subject of heat, I see a lot of folks posting operating temperatures too. Is that with on-board software and hardware or does that require an aftermarket thermometer? To monitor your temps youd have to use aftermarket programs there are a number of excellent programs however that are free I would recommend openhardware monitor it tells you cpu, graphics card, and HDD temps as well as other system information. for in game monitoring theres MSI Afterburner also free and it lets you overclock your graphics card as well as control fan speed. CAM by NZXT is also fantastic I use that right now as it controls my kraken x61 liquid cooler and theres also coretemp to monitor temps and all of them are free. Thanks! I'll definitely look into those for when I actually get into all this stuff. I probably won't end up having a liquid cooler on my setup but I had been wondering about fan controls and in game temp readers too so that's a big help. No problem hope I was able to help! +1 Great budgeting and a good deal on that 270x. I have the NZXT 340 in white myself and I'm in love with it, makes you look like you're really good at cable managing when you don't have to do jack. Just be careful, the window and the top matte black finish scratch really easily. Thanks a lot! I remember seeing your build you did a great job t budgeting too. I love the s340 but it does scratch really easily I have managed to avoid scratching the window though. I have noticed the s340 has really grown in popularity lately I built my pc when it first came out an back then hardly anyone was using this case. Will this build run World of Warcraft on ultra? I'm pretty confident this build can run wow on ultra l. I know if your just questing or doing 4 man dungeons it can handle it no problem. I've heard there are frame drops while doing 25 man raids, but from what I've heard it's mostly because of wows engine and that any card will have a drop. As long as your not running 4xmsaa I'm sure this build can run it on ultra. I agree. Shortly after I finished building this I added two intake fans I had lying around. I've actually upgraded this build quite a bit, but haven't changed anything yet I'm waiting for Amds 300 series before I update it. I actually don't have many of the parts in this build anymore. I've upgraded to an i7 4790k and a 390x, but while I had this set up it held up perfectly fine in swtor and I had absolutely no problems playing it. There have been several updates, but the Pentium should still handle it pretty well. great build, I am actually planning on building a pc soon and i was wondering should i go for a. i5 4490 or intel pentium g3258??? I was mainly going to use it for editing 1080 p videos and some gaming like GTA 5 and The Crew. Thank You! For your uses I'm really going to have to recommend the I5. GTA V definitely requires a stronger multi core CPU and I have heard that it stutters a lot with the pentium. Video editing will definitely require an I5 as the dual core pentium will still lag far behind the I5 no matter how much you overclock it due to it only having 2 cores and video editing usually requiring multiple threads/cores. Is there another cpu you would recommend that's in between this one and the i7? If you can afford it I would recommend an I5 6600k easily the best CPU choice currently out there or you can get the non K if you have no plans to overclock. If you need something more budget orientated I would recommend either a Skylake I3 or perhaps a Haswell I5 if you can find it cheap.